BEAVERTON, OREGON – Jan. 31, 2019 – The world of working with high volume, high value, and new sustainable chemicals is increasing as new technologies and processes come into the fold. To help organize the process of performing compliant and efficient chemical risk assessments to protect workers, Graphic Products, a global leader in visual communication solutions for compliance and safety, has a new free guide: Best Practice Guide for Chemical Risk Assessment. Professionals in any industry that work with or produce chemicals will learn how to identify, evaluate, and control chemical hazards to improve safety. A Statista poll on top health concerns at workplace show the leading health concern for workers in 2016 was chemicals (30% of respondents). Chemical regulations are in place to protect workers and the general public from harmful exposure. 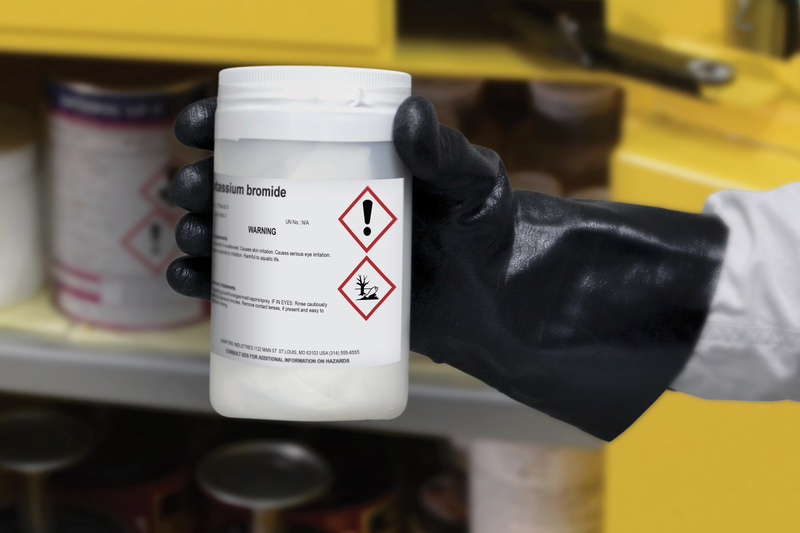 Safety managers can utilize Graphic Products’ new chemical risk assessment guide to improve chemical safety and achieve compliance. Quickly download this free resource now to keep workers and customers safe. Graphic Products is an innovative leader, providing solutions for safety and visual communication since 1970. The company’s full line of safety products, services, and DuraLabel line of industrial label and sign printers are designed for the modern workforce. Visit www.GraphicProducts.com or call 800.788.5572.